I will “never ever back down,” says US President Trump as he continues to be stubborn about the government shutdown which has been going on for four weeks now. Trump discarded the proposal to “resurrect” the government for several weeks while Democrats are finding the middle ground over his demands for $5.7 billion to build an elongated, indestructible barrier along the U.S.-Mexico boundary. Fortunately, the US president has steered away from the earlier notion of declaring a national emergency to outwit Congress. No chinks were evident in the president’s impasse with legislators after a weekend and no compromises in sight. Trump’s negative response to the interim alternative put forward by Republican Sen. Lindsay Graham eliminated one specific course which gave way to nothing else. Congressional Republicans were on the lookout for any signals from Trump on what the next moves will be. The Democrats, on the other hand, have not shifted from their repudiation of the wall funding and from their demand that the President reopen government before any border talks could resume. In the meantime that opposing parties are at a stalemate, the effects of the 24-day partial government closure continues to intensify all over the US. Some 800,000 federal workers missed their paychecks, with apprehensions about mortgage payments and unpaid bills getting stronger every day. Approximately half of them were off the job or cutting off some services. 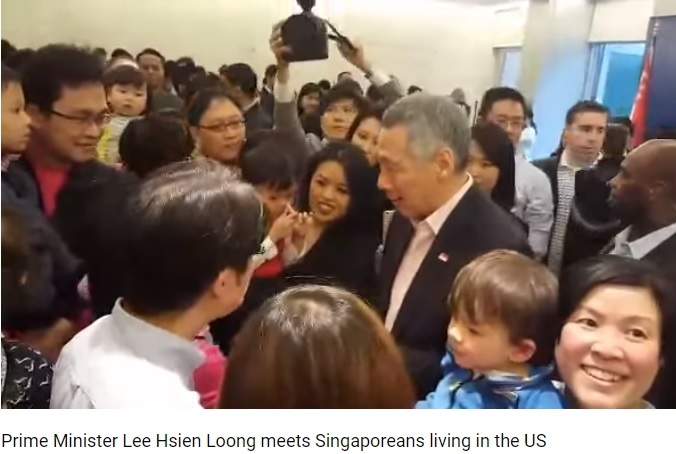 There is a community of Singaporeans in the United States, made up mainly of emigrant professionals from Singapore and their families as well as international students. The majority of Singaporeans in the U.S. dwell in metropolitan areas along a coastline, with the highest population located within the corridor connecting Boston, New York and Washington DC. On the West Coast, most Singaporean Americans live within several hundred miles of Los Angeles and the San Francisco Bay Area. The next highest concentrations are in Texas, followed by an enclave by the Great Lakes, near Chicago and Ann Arbor. In 2013 alone, from the 26,754 Singaporean surveyed, about 10,000 live within the Boston-New York-Philadelphia-Washington DC corridor. About 5,000 live within 400km of Los Angeles, and less than 5,000 live within 400km of the San Francisco Bay Area. In 2016, 4,727 Singaporeans enrolled in US educational institutes – the highest in 10 years. If these numbers are summed up (from 2013) putting into the equation the number of Singapore nationals who are currently residing in the US, it would come up to a huge figure which means that these Singaporeans can be affected by the present economic entanglement that the US government is into because there is certainty that many of them work for the Federal agencies. 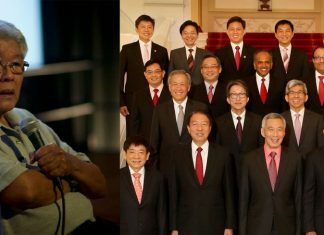 Clearly, the Singaporeans are caught in the crossfires not of their own making. For the moment, it appears that Trump sees value in his extended fight to fulfill a key campaign pledge, knowing that his supporters — whom he’ll need to turn out in 2020 to win re-election — don’t want to see him back down. As Trump fires bullets from his camp, those at the other end will not allow themselves to be outmaneuvered. It could mean then that dark times are in the offing for Singapore nationals residing in the US.